Every year in January (for past 5 years), I take some time to reflect about blogging and share my thoughts (here’s last year’s). 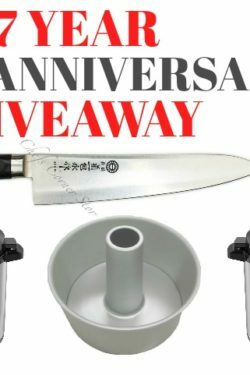 This past January 1st, Just One Cookbook became 5 years old. There are so many things that I’ve learned from blogging, yet I’m still constantly learning each day. Today I want to share 5 lessons which I learned from 5 years of blogging. Even though Mr. JOC has been telling me for several years now, it took me 5 years of blogging to realize that I was chasing the impossible. The number of emails I receive each day grows as time passes by. I tried my very best to respond to all my emails. However, as a result, I am spending more time at the desk than I was in the kitchen. Trying to reply to every comment and email dug myself into a hole because I wasn’t spending enough time to create new recipes, and I sort of lost myself between my desk and the kitchen. At the end, I accepted that I can’t respond to everyone and I need to be more effective with my time if I want to create more recipes. It’s very difficult because if someone takes the time to let me know they enjoy my recipe, I want to reach back out as well. From my Lesson 1 experience, I learned lesson 2. 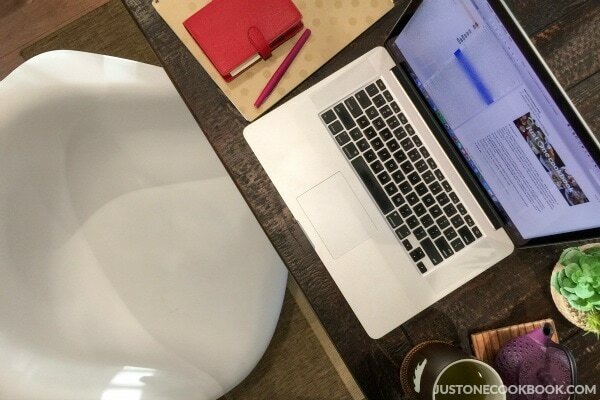 You need to set aside time and space for your creativity. On top of it all, the contents need to be entertaining and everything has to work in order to create an identity on the web. When I realized that I was in slump, I tried to block out time for my creativity outlet. For me, it was to get my cooking mojo back. So I allocate my mornings when the kids are not at home for developing recipes, and use the night time when the kids are sleeping for a desk job. It’s also the quiet time when I can write a post. One of the most common feedback I receive from readers is that they LOVE the step-by-step pictures. Now if you’re a food blogger, you’ve probably encountered discussions talking about step-by-step pictures. I learned that most bloggers discourage putting step-by-step pictures for every single step. Somehow, that never applied to my blog. My readers often tell me that how helpful step-by-step pictures are. For those of you who try making Japanese food for the first time, I hope my step-by-step pictures help confirm what you are doing is correct. I know I really appreciate it when recipes I am not familiar with share step by step images – such as dessert and bread recipes! Next two lessons came from my experience with making videos for the past 2 years. For all these years of living in the U.S., I wished that I could speak English without a Japanese accent. My American friends would say “oh but your accent is cute!”, but I rather wanted to be a cool bilingual who could speak both languages perfectly. Well, that didn’t happen and I still struggle speaking and writing in English (I have accepted that I am not good at languages in general). So you could tell how worried and terrified I was when I was forced by Mr. JOC have decided to appear on my YouTube channel. Me speaking in English on YouTube? No, thank you! Seriously, I don’t know how many can do that! While filming, Mr. JOC keeps reminding me to smile every few seconds while I’m talking. I concluded that it is physically impossible for me. I look at awkward footage of myself trying to speak while smiling…. any tips??? Maybe it’s because English is not my native language. My mouth is very confused when I try to speak English and smile at the same time! I’ll try to do better this year so it appears more natural in the videos. 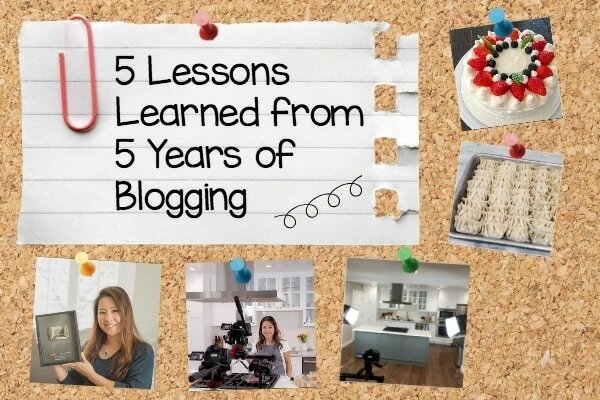 I hope you enjoyed reading 5 lessons that I learned from 5 years of blogging! I look forward to your comment below! Keep it up! Your blog has been so enjoyable ever since I found it a couple of years ago. Thank you for all the work and time you’ve put into sharing and teaching all of us. You’re an inspiration! Hi Mei-Yee! Thank you so much for reading my blog for a long time! Arigato!! I can’t help but giggled when I was reading your post. 5 years blogging seems like you have been blogging for longer than that. I am glad I found this wonderful blog , as I learned tons of interesting things from you not only your recipes, but also information about your culture. Even though I came to the US for 20+ years, I am still speaking English with my Chinese accent. So you’re not alone! I tried your salted salmon recipe tonight, my husband and I loved it so much! I used the frozen salmon fillets from Wholefoods, so the fillet is a little thicker than yours, but the flavor is awesome. 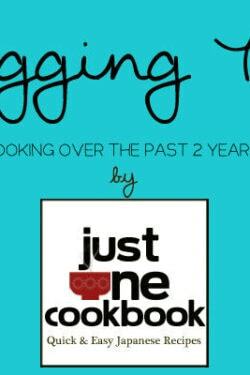 Thanks for your easy recipe and all your hardwork throughout all these years of blogging. Looking forward to your future posts! One of my favorite accents is the Japanese accent. It is the cutest thing in the world. In fact, your accent may be your asset because people prefer to learn from someone who sounds local (ie. a Japanese chief for Japanese recipes). Most importantly, your English is very clear and I never had problems misunderstanding you. Hi Carrie! Haha I’m glad someone likes Japanese accent! 😀 If someone will think my recipes are authentic just with my accent, I should speak English with even more heavy accent! 😉 Hee hee. Thank you for your support! You’ve done such a wonderful job in so short time! Congratulations and thanks for sharing all your knowledge and experience with us. I’ll try to use your experience on lesson 3 for me, too. Thank you again and happy birthday JOC! Hi Fabricio! Thank you for reading my post and for your kind words! Good luck with step by step pictures! Thank you very much for all recipes! The blog is very interesting and informative. 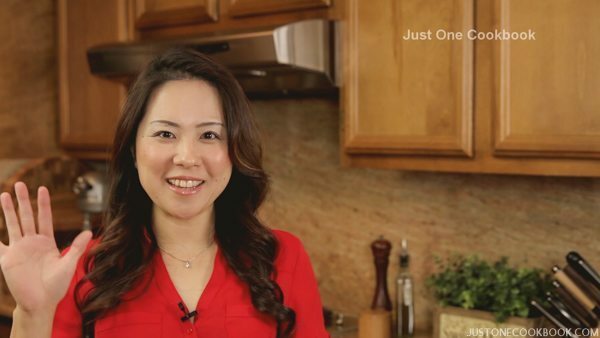 This is especially very helpful for beginners trying to cook Japanese food. Thank you for these inspirational 5 lessons. I’ve enjoyed reading them and i did read them with a big smile on my face. For a beginning blogger like me, this is a huge help. I also know how difficult it is to switch languages. I am from the Netherlands, but was raised 2 languages due to me being half Australian. (Half my family lives there from my father’s side) Other then english i also know german and now learning Japanese. I say do not worry at al about your accent. It is not disturbing at all, after all your videos are about Japanese food. How can we not like your precious accent and your Japanese background! Smiling and talking the same time seems impossible now, but honestly it is just the ” flexing” of your face muscle’s. My tip is to just practise it each day in front of the mirror, and soon you will see you’ll get the hang of it! One last thing. IF you ever need help with virtually managing your posts and email.. I’d be delighted to give you a hand. I have the time and means. I have also worked as a secretary for 4 years as i have my degree for it. Just contact me in case you change your mind about the virtual help. I will do it with pleasure, and most important at all. For free, since i enjoy helping people. Hi Skye! Thank you for your tip on speaking while smiling! I’ll practice and hopefully it will come naturally. 🙂 How amazing you can learn different languages like that. I barely keep up my 2nd language… Also, thank you for your virtual help offer. That is SO sweet of you! Thank you!! My life is so chaotic right now and I can’t even organize work around me. That bad… One day I need to sit down and figure out everything. I keep your kind offer. Thanks so much! No worries. You are doing a great job. Love your blog. I don’t think you need to smile all the time while doing a video. Your pleasant, calm and gentle manner is enough to involve and hold your viewers. Then you can save your smile for the ‘whew, that’s a cut!’ End. I don’t think many people expect you to smile all the time; it’s unnatural (sorry Mr JOC ????) keep up the great work and thanks. 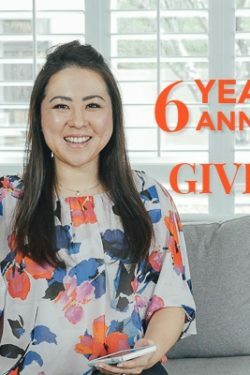 Happy 5th Blogiversary Nami-san! Wow has it been 5 years already. Where has the time gone. I am glad you took the time to review and reflect on your accomplishments as you prepare for the next 5 year goals. I am so glad JOC pushes you a little bit as you have loads of potential yet to be tapped. You guys are an awesome husband and wife duo. I enjoy you just as you are! Thank you for the time spent sharing your delicious recipes and I too, appreciate the step-by-step images! Congratulations and countless more blogging years! Wow has it been five years already? Your blog just keeps getting better and better. I appreciate all the hard work you and Mr JOC go through to put together the absolute best blog out there. Arigato Nami and Mr. JOC! Hi Miriam! Thank you so much for your kind words! Mr. JOC sends you his thanks too! These are great tips! and about your accent: it’s who you are and I think it’s lovely. Love the posts. Don’t change a thing. Look forward to each to installment. Congratulations with your 5th anniversary and special thanks for all the recipes. You are doing a great job and don’t worry about your English which is very good as even I can understand every word. Your blog helped me very much as I try to cook washoku. Hi Jan! Thank you so much! I’m so happy to hear you are cooking washoku at home! Stay dry! Are you kidding? You are great on video! [My Japanese father-in-law spoke with a Japanese accent, and he was born and raised in Hawaii (nisei).] Keep doing what you do. I am truly loving your blog and trying different recipes. I have scoured our local Marukai and Don Quijote stores and even Amazon.com for ingredients and cookware. And thanks to you, a nagashikan is on its way to me. Today or tomorrow, I am going to try making taiyaki. So, mahalo nui loa for all that you do. You go girl! Love your blog, and your recipes….and your travelogues! Here’s to another 5 years…and another and another. You get the idea, <3 ya! One of the things that made an impact in me is that you usually answer to the comments that your readers make. Trust me, that does not happen a lot. I know is an imposible task but at least your desire is to do it 🙂 the intention means a lot! Congratulations on the five years! How time flies. 🙂 I am always so impressed by your efforts regarding Lesson #1. Hardly do I ever expect a reply to my comments, but I am always delighted when I see a message go to my inbox. I often wonder how you manage to do it with your blog’s growing readership and popularity—and really, what a great problem to have! Hi Kimmi! Thank you! Everyone is busy, but they (including you) are kind enough to leave a note, so I’d like to respond as much as I could. Thank you for your kind support all the time! Nami, thank you for sharing your reflections of the past 5 years with your followers! I truly appreciate all the hard work you put into your blog – it shows in your gorgeous photos and how-to videos.! I love step by step photos and the music selection for your videos. I’ve expanded my cooking repertoire by following JOC! Congrats on 5 years of blogging! I think I’ve known you since the time you started. Thanks for these valuable and helpful lessons you shared with us. I always learn a lot from you. 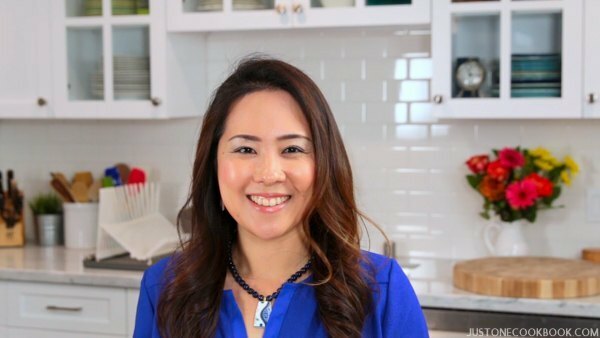 Good luck and looking forward to more of your recipe posts, Nami! Hi Elizabeth! We’ve known each other for such a long time! Thank you for your support all the time! Big thank you Nami, for sharing your recipes. I love your posts and have referred your blog to numerous friends. Like you I used to struggle with speaking correct American. I do love your accent and it makes you unique. My American friends are even envious for they can’t speak a second language. Keep up your good work! You’re doing great! Thanks so much for referring my blog to your friends! That’s so kind of you! Thank you for your sweet words and support! Nami, I think you are doing a good job. Sharing your recipes with us and continuing to do so. Hi Gina! Thank you so much for your kind words and support! Hi Nami, you are so sweet! I always love everything you post. I don’t always watch your videos because your step by step images in recipes are so good. But it’s so nice to know there’s a video if I need it. Keep up the good work, you’re the best! PS, you look great on your videos, no need to worry about smiling all the time. ???? This is the first time I’m leaving a comment, but I’ve been following your blog for a very long time! You’ve helped me recreate many Japanese dishes I could only admire before. I’m surprised to hear that most food bloggers discourage step-by-step photos. For me, that’s the main reason I continue to follow your blog. Whenever I have to smile when speaking I try to pretend I’m speaking happily to a friend. If you are happy when you are speaking, the smile will come naturally! Thank you very much for creating this blog and sharing Japanese food with everyone! That’s a wordy way of saying that I am thrilled with all aspects of your unique blog..
Congratulations on 5 years and my wish for you is that you have many more of the same..
5 stars. I agree. 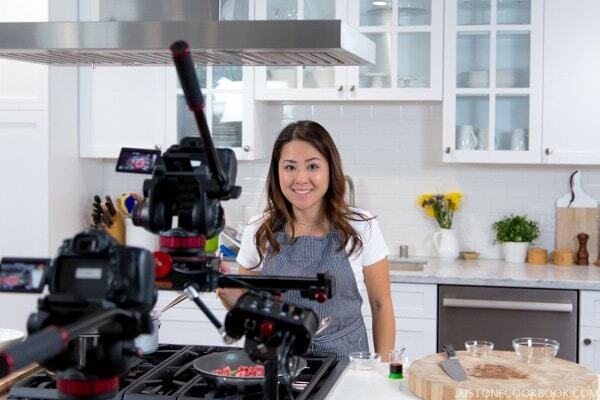 Your step-by-step photos are very helpful, and I think your manner of speaking makes the recipe videos all the more authentic. Keep up the good work! Thanks for sharing as many of these lessons are relevant in life and work as well. P.s. the step-by-step photos and videos are VERY helpful. I only got to know about your blog from my Malaysian friend in Australia over Christmas so I am relatively new to your blog but I think you make Japanese cooking so easy to follow. Thank you very much and keep up the great work. Yaso! Welcome to my blog! I’m so glad your friend introduced my blog to you! 🙂 Hope you find some recipes you like on my blog! Thank you for the blog of your first five years. You worked hard and really did a good job. I appreciate your excellent food photography. Keep up the good work and will keep following your recipes and travel tours. Congratulations on 5 years of blogging! I am soooo happy that I found your blog! You work so hard on your blog and in the videos. I just wanted to let you know that your hard work is appreciated. p,s, – You’re doing great with English – it’s a tough language to learn! Thank you Faithy! Aww thank you for your kind words! Dear Nami. You are doing very well in all things you are trying to accomplish. Just be yourself and continue to share all your knowledge with us. We are all here to learn and not criticize your accent or whatever negative things you have been told. Keep up the great work. I am very grateful for your blog and videos. My wife and children love the meals I prepare from your recipes. Your videos has thought me cooking techniques that are both time saving and makes cooking fun. Not every chef would reveal all the tricks of the trade. P.S. special thanks to Mr JOC too….. I have only just discovered your cookbook after returning from a 2 1/2 week holiday in Jqpqn where I ate almost exclusively Japanese food. 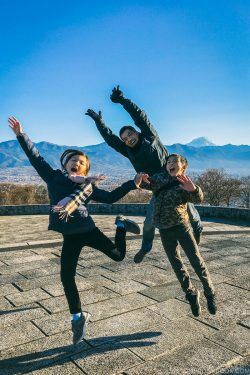 I used to live in Japan 18 years ago but at the time my kids were small and I did not go out as much. No I am desperate to learn to cook some Japanese food (especially for my lunch box) and your website is perfect. Thank you for your efforts! And as for smiling and speaking, I used to do a lot of media work and the key is to be yourself and put as much energy into your presentation as possible. So smile when it is natural (at the end of an explanation or when you encourage people to give one of your recipes a try). There is nothing worse than a forced smile in my opinion but maybe that’s just me and Americans see it differently (I am German and live in the UK). Hi Barbara! 2 and half weeks in Japan! How wonderful! I hope you had a great trip! 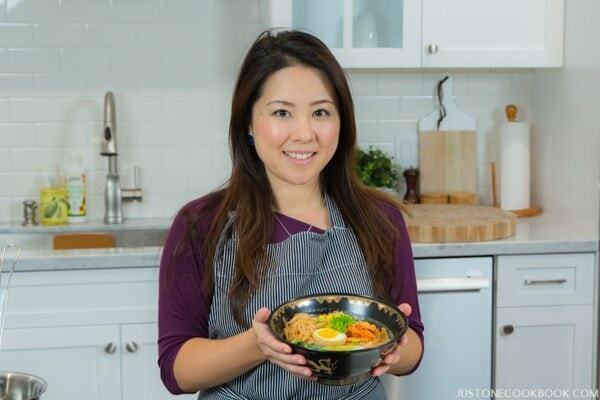 I hope you find some of your favorite Japanese recipes on my blog. Thank you so much for your valuable trip on speaking/smiling! YOU are fabulous. That’s all you need to remind your Self! Congrats on five successful years Nami! May you have many, many more. Cheers! Hi Kristy! Thank you so much for your kind words! I’m so sorry I haven’t had a chance to visit your blog – have been horrible at keeping my friendship on blogosphere. 🙁 Talking to blogger friends is one thing I miss dearly. Hi Nami! Thank you so much for sharing your experience with us! You always teach us something new! Step-by-step photos (not to mention videos!) are something I’ve always found too difficult to even try… I truly admire you for these efforts! I laughed a lot reading about your accent 🙂 Yes, some accents are really cute and the Japanese is one of them. (Frankly your accent is so tiny…. barely there… just enough to be….cute!). 5 years only??? With all the extraordinary dishes you have shared I feel as if I had known you for at least ten years! Nami, even if you didn’t smile, I can still sense that you’re a warm person smiling from your heart. Your kindness go through your step-by-step pictures and your blogging words to me. I can feel your efforts while I am redoing your recipe. Thank you so much for your beautiful work all the time! Reading your blog is very enjoyable. I never imagine I can make any authentic Japanese dishes until I came across your blog! Your dedication and passion lead you to a very successful blogging career, please keep it up! 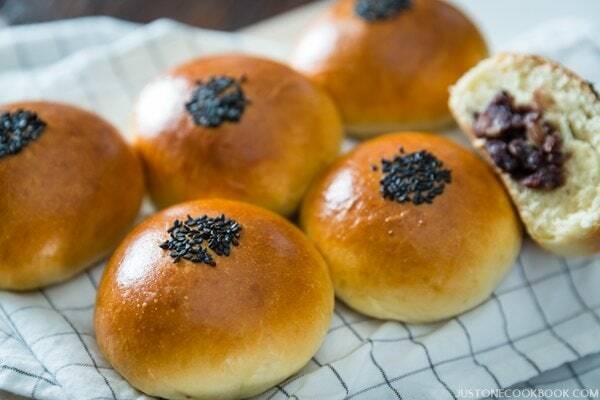 I want to see more simple, yet elegant and scrumptious recipe! Last but not the least: The first recipe I tried out was your chasu ramen (which was awesome! ), and guess what, I found that the left over chausu can also turn into numerous yummy dishes when I’m short of time/energy, such as sandwiches (I finely chopped the chasu, then mixed with Japanese mayo and finely chopped custard green); chasu curry: chausu fry rice; …. etc, etc. Thank you, thank you, thank you for sharing your recipe, the videos, the eye pleasing step by step photos….. Thank you! Hi Lena! Thank you for reading my blog! I’m glad to hear you enjoy trying my recipes. 🙂 I’ll try my best to add more simple and delicious dishes. Just want to say congratulations on your five year anniversary, and please do not feel you must respond to this email, as I agree that we want you to focus on your food! So glad I found your site. I’m sad today as we took my son and his girlfriend to the airport this morning for their return flight to Kyoto. We had a fabulous eight weeks together and I referred often to your site for help with my Japanese cooking. I made the strawberry cake for Christmas dinner as a surprise for Tsuta, but I made a mistake and it was not fluffy and gorgeous like yours – next time I’ll do better. Last night we had mochi with isobeyaki and it was delicious. Thank you for all your helpful information and videos! Happy New Year to you and your family! Hello Nami, this is the first time I comment on your blog. But truly, you are my favourite food blogger in the entire Internet. Since justonecookbook is my top 10 most frequently visited pages, it always appears whenever I open a new window or tab – one click away! The things I love most about your recipes are that they have picture-by-picture step and their actual deliciousness. I am not a big video fan (because they are usually too long, so in a sense I definitely find your videos beautifully made and easy to follow), only check when I have absolutely no idea how to do a certain step. And I’ve tried several weblogs already and none has the taste (really homely and warm and wonderful and superbly delicious) similar to yours. You are so close to your readers as well. One of my friends, who I introduced your blog to, once made chicken curry rice and posted it on her instagram. She was over the moon when you liked (or commented, sorry for my bad memory) on her photo. Thank you Nami! I hope one day I can have a food blog of my own too. You are meticulously Japanese. I like your videos and photos. Credit Mr JOC too. Your lighting is excellent which makes all the difference. Since you deal with an international audience I must commend you for the excellent kitchen tour which was the first time I heard you speak! Guess what? It was excellent. Do a good voice over and your channel will zoom faster. Congrats on five years! You’ve done a lot in five years. I just found your site and wish I found it years ago! I’ll be here frequently. Thanks for sharing. That is a very interesting post about your life experience with your blog. I am actually considering that (one day) I would perhaps make a personal website based around what I do and want to share as well. This includes cooking (but I am also a musician, enjoy travelling especially outdoors, love photography, geology). This would focus more on my interests and hobbies though as an aside from my professional occupation – I am actually working in becoming a full-time scientist (in everything associated with laser and plasma physics to be more specific, if you are interested to know) so I am not sure, at this early stage at least, how I can really commit myself to be a good blogger like you are. As a small aside, I will actually be in California for a week in the first week of February in Livermore. This is actually for working reasons I am there but I have the Sunday, a bit of the Thursday morning and maybe the evenings in-between. As you live in CA I was actually wondering if you have any recommendations for someone to do during a short visit there. I might consider using Thursday to see more of San Francisco but I decide on that while I’m there. Thank you for the post! It was nice and informative! After looking through my schedule, which recently has been confirmed, I will have real difficulties in getting any time available in the mornings during the working days to get time out. The Thursday (my last day of this working visit) will be fairly brief as my flight would depart 11:35 late morning. I’m not familiar with the school system and time your children would need to be at school to say that I would have much time in the Thursday morning. The Sunday is really the free day I have to discover during this working visit and as you have understandably a lot of family responsibilities I am uncertain whether we would get much of a chance to meet in a during the week. Thanks for offering your time to meet you. Even if we might not get to meet, I will very likely revisit CA because there are actually quiet a few events related to my work that, by coincidence, happen in CA – mainly because of the scientific research area that I work in being strong in CA and with the National Ignition Facility there. So I am certain that this would not be the only chance I get to meet you and discover the Bay Area (and hopefully Yosemite National Park one day 😉 ). Hi Leo! I understand. SF (the city) is not close to Livermore where you’ll be staying, so I completely understand. We film our videos on weekends, so weekends are a bit difficult to go out for me. Next time you have some time, we can grab a coffee or eat lunch together! 😉 And yes, you must visit Yosemite! Thank you Nami! I will keep that in mind next time I should visit CA near SF – I’ll try scheduling extra free time as I would like to both see much of CA and have the pleasure to meet you! Have a nice week ahead and looking forward seeing/hearing the collaboratory from the weekend! Definitely!!! FYI, Livermore to SF is about 50 + minutes by BART (train) and with car… it can be more than 1 – 2 hours depends on traffic. It’s not considered “close” especially during the weekdays when traffic is madness! I look forward to seeing you next time! just started following you on Instagram! Hope I’m a lucky winner! Hey Nami! I’m happy to see your blog grow, you’ve been working so hard, and make us enjoy great recipes for 5 years. New follower here! Discovered your blog via White On Rice Couple (Todd Porter and Diane Cu). I already love the contents of your blog! Happy 5th blogiversary! Hi Anna! Thank you for following my blog and welcome! Diane and Todd are so inspirational and I love following their work too! Thank you so much for your kind words! Oh me too with the smiling. I finally broke myself from frowning when I concentrate, since it was causing a deeper wrinkle between my brows, lol. With my TMJ I hold my jaw differently but have learned to smile with my eyes or “smize” as Tyra Banks says, lol. It does work though so all you non-smilers should give it a try! Congratulations on Five Years! I love your blog! My mom is Japanese and is no longer able to cook, so I have tried to cook foods of her gurus sto. Thank goodness I found you! Huge congratulations on having one of the most fun blogs on the Net . . . . love your smile, love your accent and love and use what you teach! Happy five years but DO hope you have learned enough to look after yourself and take time out for those beautiful children and a very caring husband. And I have spoken English for much longer than you but still get asked almost every time: ‘Where do you come from’? Enjoy being you !! Your blog has been very helpful to me when it comes to widening my knowledge of food. All the recipes that I’ve tried from your blog have been really tasty. For 2016, I want to see you trying new recipes from different countries or cultures. I can only speak for myself but I think it would be nice to take on something new with your readers. I am a third generation (sansei) Japanese-American from Hawaii. I wish I spoke Japanese as well as you speak Engrish. Congratulations on your fifth anniversary!!! Hi Michelle! Language is so hard! I’m losing Japanese (by not speaking and writing enough) but not gaining English ability… I am becoming not good at either language! 😉 Thank you for your kind words! The step by step photos are super helpful, I can make sure I’m doing things correctly! Domo arigato! Hi Virginia! 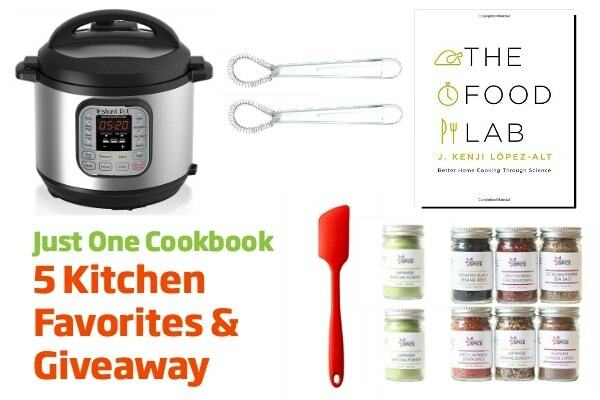 Make sure to enter in the giveaway post. 🙂 Thank you for your feedback! You’re such a natural, it’s difficult to believe you have any problems! Such a joy to watch and learn. Don’t worry about your accent Namisan. You do just fine. I do have one request as a student of the Japanese language (mada jouzu nai). You often spell out things in katakana. When possible also include the kanji. This helps a lot when we go to Japan and I’m looking at menus. I’ve spent the last almost a year trying to learn the meanings (not readings) of the 2,200 basic kanji characters. Still have a long way to go to be able to read efficiently. Also, step by step photos are great. Don’t stop!